7th annual FREE Camp & School Fairs has added the East Bay Camp & School Fair on Saturday, Mar. 24, in Berkeley. Free activities and over 75 exhibitors allow attendees to view a smorgasbord of camps, enrichment programs, schools, performing arts, S.T.E.M. & S.T.E.A.M. programs, preschools, cooking, educational, sports and other programs available this spring and summer. The free fair runs from 11 a.m. – 2 p.m. The Ed Roberts Campus is conveniently located 3075 Adeline St. which is south of Ashby Ave. between Tremont and Woolsey Streets at the Ashby BART Station in Berkeley near Highway 24 and Interstates 80 and 580. The is a large free parking lot at the back of the Ed Roberts Campus Building. Click for more info on getting to Ed Roberts Campus. The 7th annual series of free Camp & School Fairs presented by Bay Area Festivals begins on the Feb. 23-24 weekend from 11 a.m. – 2 p.m. each day. 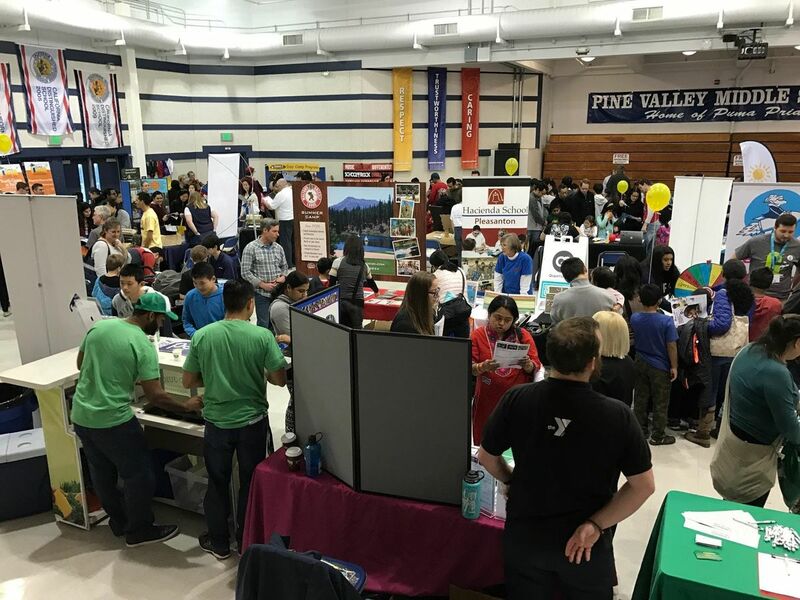 On Saturday, Feb. 23, the Tri-Valley Camp & School Fair is in San Ramon at Pine Valley Middle School Auditorium and then on Sunday, Feb. 24, the Contra Costa Camp & School Fair is being held again in Lafayette at Acalanes High School with ample free parking at both locations. 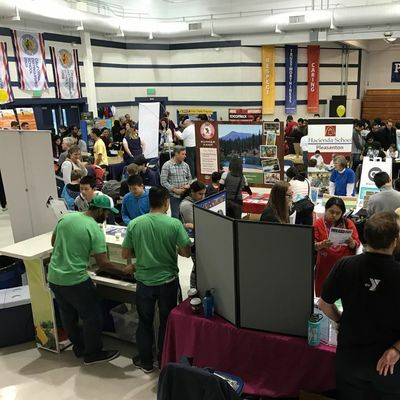 The Silicon Valley Camp & School Fair is on Saturday, Mar. 16, at Fremont High School in Sunnyvale and the 9th annual Marin Camp Fair is at Dominican University in San Rafael on Saturday, Mar. 23, the day before the inaugural East Bay Camp & School Fair in Berkeley at Ed Roberts Campus. EVery site has ample free parking. The fairs are presented by Bay Area Festivals, Inc., which also presents in 2019: Bay Area KidFest (30th annual festival May 25-27 on Memorial Day Weekend in Concord). Bay Area Kids' Book Fairs (April in Silicon Valley and the East Bay), Concord Oktoberfest and Super Holiday Boutiques (Dec. 7 in Pleasant Hill and Dec. 8 in Concord). Bay Area KidFest has been voted Best Community Event five consecutive times by readers of Claycord.com. Bay Area Festivals has donated over $80,000 to educational, health, sports and youth non-profits this decade. Producer Jay Bedecarre says, “We’ve had an outstanding response to our Camp & School Fair the past six years. The fair provides families with a one-stop shopping experience as they plan their spring break and summer activities.” He adds that there is a wide variety of schools and camps for children, teens and families including preschools, day camps, overnight, performing arts, S.T.E.M. & S.T.E.A.M. programs, YMCA, cooking, scouts and sports. Camps from coast to coast take part. The first 200 families each day receive a free goody bag. There is a free raffle drawing for camps and KidFest tickets. Anyone bringing a can of food for the Food Bank will receive an extra raffle ticket for each can. Admission and parking are FREE. Visit www.BayAreaCampFairs.com for more information and to pre-register for a free family ticket and raffle. Camps, school, other programs and businesses wishing to exhibit at Camp & School Fair can visit www.BayAreaCampFairs.com to register.